My days got a little bit mixed up, this first photo was supposed to be from Saturday, the day after Valentine's Day. 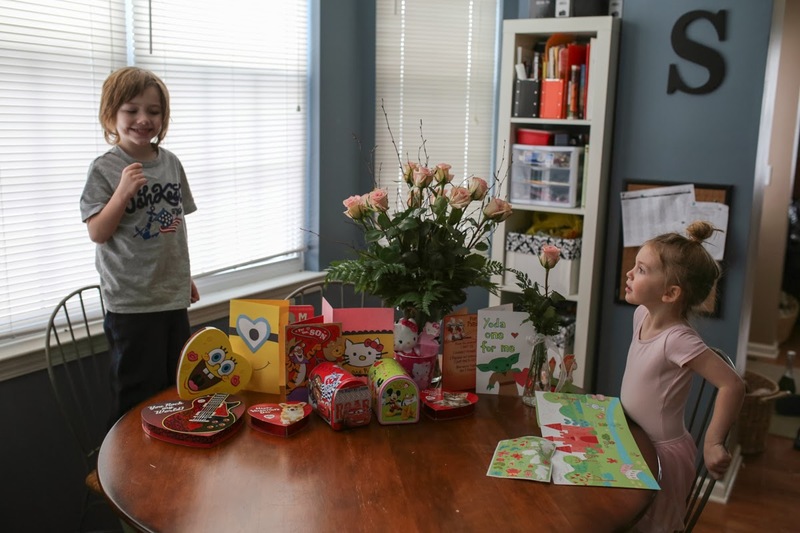 There was a snow storm on Valentine's Day and my friend got married in a small, intimate ceremony that evening so we exchanged our cards and goodies Saturday after Teagan came home from ballet. I loved my roses, our florist always make the nicest arrangements and even thought to make Teagan her own vase with a single rose. Mental note, celebrating Valentine's Day the day after makes alot of sense financially, clearance holiday stuff!!! 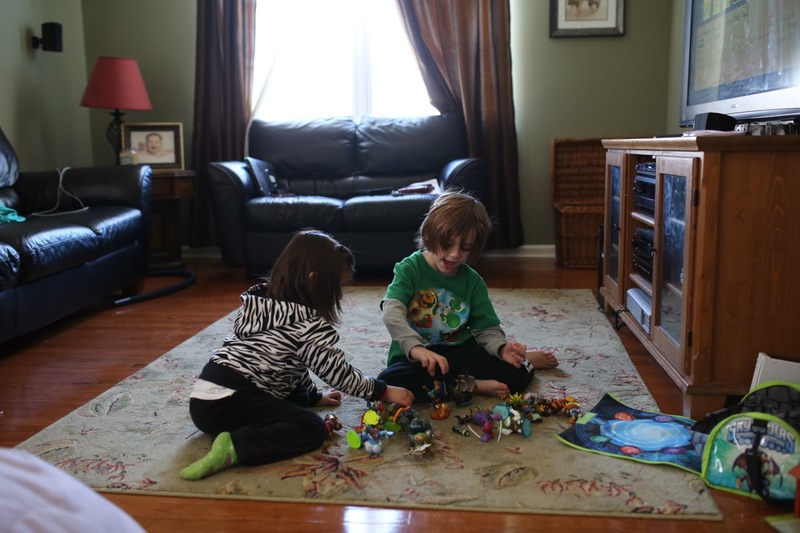 This next photo of Nathan and Charlotte playing should be after our shopping trip for Baby Felix. These two kids "get" eachother. Charlotte's mom and I always joke that we should start saving for their wedding now, a wedding where we will serve sliced apples and....not much else. It would probably be a Fall wedding since apples are in season. Anyway, Nathan is sometimes tough to play with because he likes to set his toys up in a certain way and wants everyone to play with the toys in a certain way. Charlotte must either "know" his method of play or maybe he is super tolerant of her. Either way I love it and I love them! good job keeping up with the 365!